TRAINING AIRCRAFT UT-1. Scale model 1:33. UT-1 (air-14) – small size (wing area only 8.3 m2) training single pilot with the airplane had an open cockpit. The plane was created as a transition with double the training speed of a monoplane and as a training for fighter pilots. The aircraft passed state tests in 1936 with the engine M-11 100 HP In the report of the NII VVS was marked by the excellent maneuverability of the aircraft, good performance figures and ease of maintenance. The aircraft remained strict in piloting, that made it closer to the characteristics of I-16. 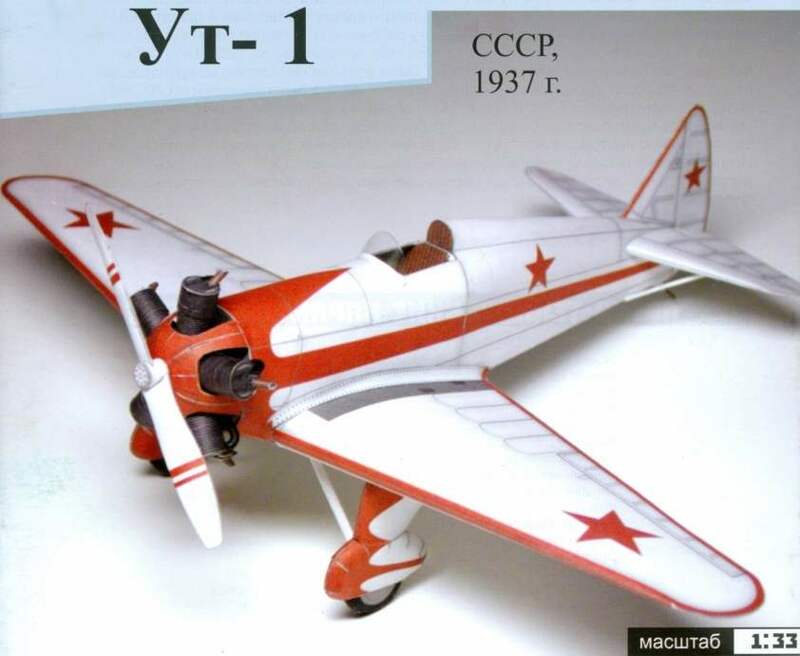 Serial construction Ut-1 began in the fall of 1936 two plants, one of which before that aircraft was not allowed. For this reason, in the beginning there were some difficulties, and most importantly – are not immediately able to establish welding the fuselages and engines, prevented deformation while welding. Gradually workers and engineers found their techniques of welding (sometimes without the aid of a pilot plant), and everything began to turn. In 1937-1940 was released 1241 aircraft. Aircraft UT-1 was established eight international records of speed, range and altitude. In 1939, on UT-1 has been lengthened by 260 mm motor mount, centering of the aircraft became more front, improved longitudinal stability and simplified technique of piloting. Simultaneously, the propeller group was adapted for inverted flight. 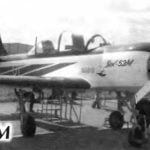 Exceptionally high aerobatic-acrobatic quality UT-1 remained unsurpassed up to 50 years and were highly appreciated by pilots – masters of aerobatics. We wish You a successful Assembly and enjoyment of the result.